TORONTO, June 18, 2014 – Impact8, Ontario’s first accelerator for social purpose businesses, is announcing partnerships with Saint Elizabeth following the graduation of its second cohort. Impact8, an intensive, eight-week program delivered by the MaRS Centre for Impact Investing, targets high-impact ventures with blended value propositions: social enterprises, social purpose businesses and co-operatives with the potential to turn investment into positive social or environmental impact and financial return. The Spring 2014 cohort focused on innovations that empower individuals to be in control of their health and well-being, enabling them to live and age well at home and in the community. “We are delighted to work with our partners to support these entrepreneurs, who are implementing market-driven solutions to tackle tough social challenges,” said Tim Jackson, Senior Advisor, Capital Solutions at MaRS Discovery District. Impact8 leverages the expertise of MaRS and partners including BDC, RBC, TMX, Miller Thomson, KPMG and Hirefly to deliver workshops and one-to-one advisory services to the cohort. Moving forward, Saint Elizabeth, a national health care provider and social innovator, will be working with three of the Impact8 ventures. The organization will partner with QoC Health, a health technology company that deploys person-driven care solutions; it will also work with Komodo Open Labs and MyVoice to support their solutions for reaching individuals with mobility and speech conditions. • Eve Medical Inc. improves health outcomes for women by enabling self-collection of high quality samples to screen for cervical cancer and STIs. • Good Robot Monitoring Inc. uses networked smart home technologies to support seniors who wish to live independently in their homes. • Komodo OpenLab Inc. develops inclusive technologies to enable access to mainstream mobile devices for individuals with mobility impairments. • The Living Kitchen provides a meal delivery service for people living with cancer, nutritionally designed by a collective of holistic nutritionists and personal chefs. • My Voice Inc. makes technologies that empower people with speech disabilities to communicate and lead richer, more independent lives. • QoC Health facilitates shifting care to the community by deploying patient-centred solutions. These solutions reduce costs while improving outcomes and user experiences. • Shift Health Paradigms Ltd. empowers patients by transforming complex medical surveys into simple tools that build better patient-provider relationships. • Squag Inc. is a safe online platform for kids with autism, ADHD, anxiety and other neurodevelopmental conditions to explore their interests and cultivate strengths through art, photography, video and journaling. MaRS Discovery District (@MaRSDD) is a mission-driven innovation centre located in Toronto. MaRS works with partners to catalyze, accelerate and amplify innovation. MaRS supports entrepreneurs building Canada’s next generation of growth companies. 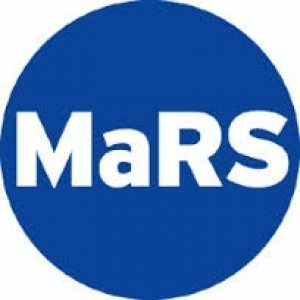 MaRS’ ventures have created over 4,000 jobs and, in the last three years alone, they have raised over $750 million in capital and earned over $375 million in revenue.